I am looking for secretarial support either in the morning or afternoon Perth time, two days a week to begin (6hrs/week). You will have to have good computer skills and a good internet connection (there will be lots of buttons to press and things to remember). You will have to be based in Australia or New Zealand. I have good and up to date computer skills and am willing to learn anything new. I have had experience with transcription and data entry. I am organised and will ensure all your work is completed on time and without any errors. I will do your work efficiently as well. I have attention to detail, very good time management skills, and experience as a personal assistant as well as administration. I have excellent communication skills and am capable of working unsupervised as well as part of a team. My previous role was Personal Assistant to the State Director & Executive Service Officer in Administration which included everyday administration roles (data entry, fleet management, invoicing and processing, petty cash management, travel arrangements, meetings, financial administration of the unit, sourcing new products, organising things such as car parking for senior staff and handling very sensitive files) I am happy to also forward through my resume upon request and speak directly over the phone. Working in a busy office for the past 3+ years, I have developed excellent word processing and data entry skills (average 9500 ksph). I have a vast knowledge of all MS Office programs, MYOB & Xero. I live in NSW & have a strong, fast & unlimited internet connection, so there will be no issue there. I am able to work afternoons from 15:00 onward, Mon-Fri. Resume, along with references, can be provided upon request. I can easily take six hours out in a week to help you out. Plus I am always looking to find improvements in any work I do so I will be performing your tasks and simultaneously trying to make them efficient. I can definitely do it for you. You will never regret hiring me as I strive for excellence. My previous job was Human Resources Administrator for a big mining, construction and services company. I am a stay at home mum currently studying my Diploma in Business Admin. I have previous experiences as Receptionist/Secretarys' for Perth businesses. I also run my own New business called Magnetic Virtual Assistants. I am based in Perth. I have many years experience supporting management, have a diploma in business administration, excellent word processing and data entry skills, experience with publications and report writing, good internet connection and upto date computer. I live in north east Queensland and can be avaliable morning or afternoon Perth time. I am based in Melbourne and currently work from home part-time in my own business. Our business is in the online space so my internet connection is excellent. I have been self-employed for the past 15 years and would consider myself to have excellent computer skills. One of my strengths is that I am a fast learner and have the ability to learn new tasks and procedures quickly. I am also an efficient worker with a high level of attention to detail. I also have the flexibility to work in the morning or afternoon. For more information please view my profile. 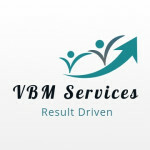 BUSINESS ADMIN MADE EASY, at VBM Services we are experienced Office Administrators, Project Managers & Business Managers, who have proven ourselves to be Professional, Committed, Organised, Honest & Result Driven. With more than 25 years experience we have developed an excellent understanding of effective systems & processes & pride ourselves on a job well done. Please feel free to contact me on skype CMC21101 or on my mobile 0437 889 996 if you have any questions. I'm based here in Perth and can help you ASAP! I come from a corporate office background with over 20 years of mixed experience in Sales, Marketing, Events, Personal/Executive Assistance and Graphic Design. I have worked in a few different industries both here in Perth and in London, so having worked in so many different areas I have a forged a broad and valuable range of knowledge and skills. I also have an "Eagle Eye" and attention to detail is what I strive for. You can learn more about me and by business here: www.sassycreativedesign.com.au Please contact me for more information if required through my profile or email. Hi Adam, Is this position still available? Would i be able to get a detailed job description?